You can stand in front of this target rifle without fear of being hurt. Instead of bullets, it shoots a beam of light. 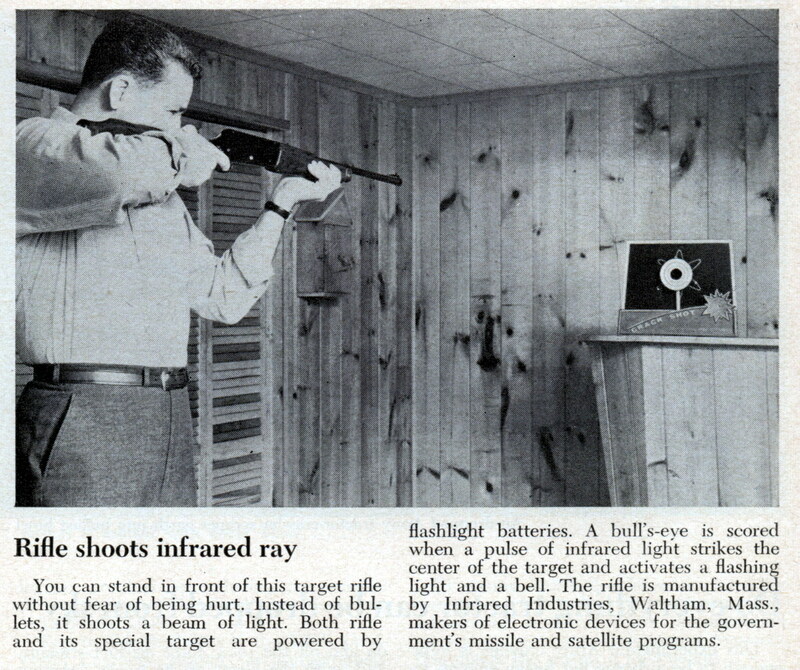 Both rifle and its special target are powered by flashlight batteries. 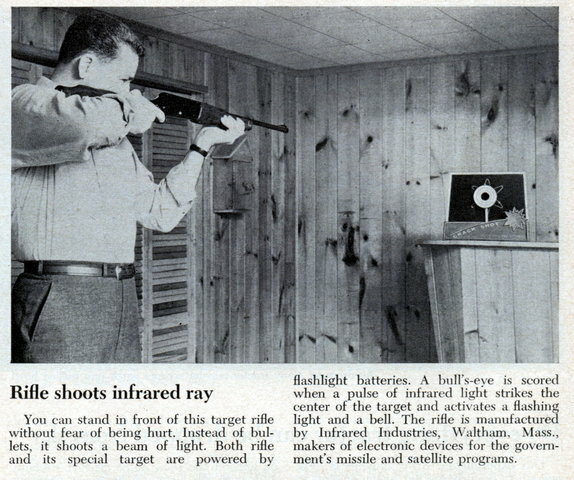 A bull’s-eye is scored when a pulse of infrared light strikes the center of the target and activates a flashing light and a bell. The rifle is manufactured by Infrared Industries, Waltham, Mass., makers of electronic devices for the government’s missile and satellite programs.